One of the more talked-about elements of the opening Olympic ceremonies was the miniature procession of four athletes under the banner, "Independent Olympic Athletes." A lot of people were wondering, who are these independent athletes? And how do you compete without a country? This is the third time that athletes have competed under the "independent" banner. The four athletes are from two locations: three of them are from the Netherland Antilles (Reginald De Wint: Judo, Liemarvin Bonevacia: 400m, Philipine van Aanholt: Sailing), and one is from South Sudan (Guor Marial: Marathon). In both cases, the athletes were left country-less for the Olympics basically due to bureaucratic issues. Olympic Mascots: Illuminati Puppets, Or Just Plain Creepy? "Of course, the Olympics has a long history of bizarre and un-loveable mascots." You gotta feel for the designer of the London Olympics mascots, who took to Slate recently to pen an impassioned defense of his creatures. But that right there should tell you something. If you find yourself having to explain why your creature design is NOT creepy, you have already lost. 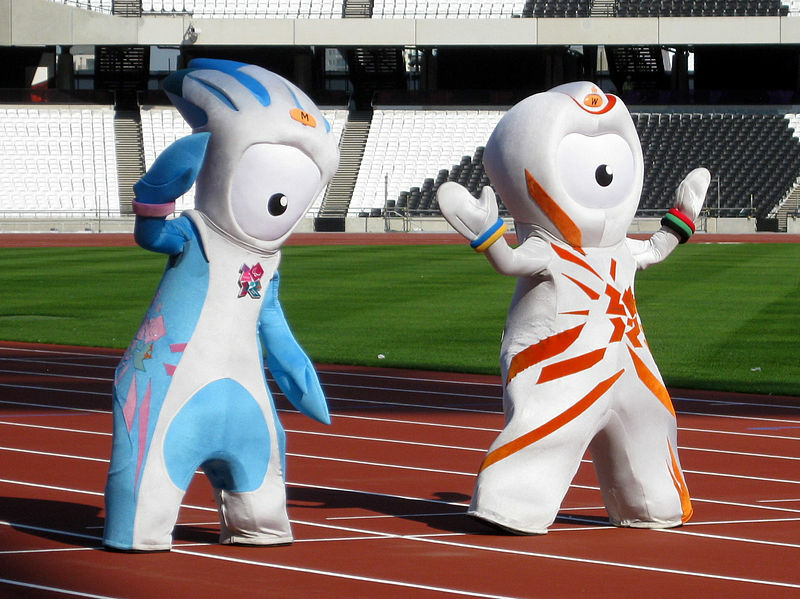 Wenlock and Mandeville are the large, white, Gumby-like mascots of the 2012 Olympics. They are the work of designer Grant Hunter of Iris Worldwide, who refers to people who think the mascots are creepy as "naysayers." Frankly, I'm surprised that the designer is surprised. How can you create a creature that has one giant eye in place of a head, and not expect people to find it off-putting? 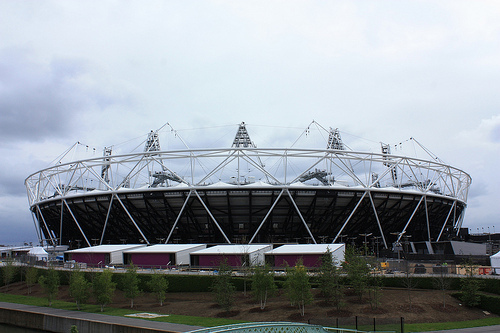 The designer's explanation was weak at best, and references the omnipresent use of video cameras to bring the Olympics to the world. Which is precisely the point of the creatures' detractors: they look like walking cameras. Read more about Olympic Mascots: Illuminati Puppets, Or Just Plain Creepy? 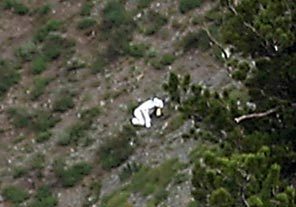 Last week, Cody Creighton was hiking along through the Wasatch Mountains outside Ogden, Utah when he spotted something strange. On a facing hillside he saw a small herd of mountain goats moving through the rough terrain. But there was something unusual about the last one, which was trailing far behind, and looked unusual even at a distance. Creighton busted out his binoculars, and discovered that the "unusual goat" was in fact a man in a goat costume. "The man appeared to be acting like a goat while wearing the crudely made costume, which had fake horns and a cloth mask with cut-out eyes." The goat man was on his hands and knees, "climbing over rocks and bushes and pretty rough terrain on a steep hillside." When the goat man spotted Creighton he froze, then put his mask back on and "scurried to catch up with the herd." 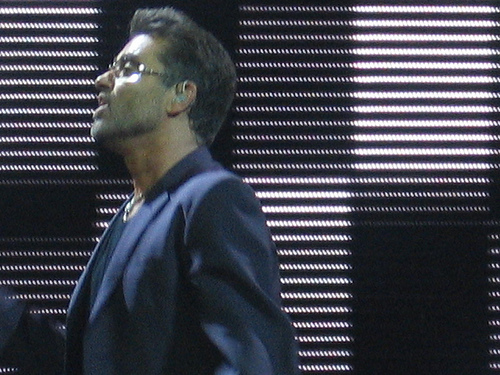 Last December, famed pop star George Michael fell desperately sick with pneumonia. He ignored the symptoms for too long, and pushed himself too hard, and ended up in the hospital for five weeks - with fully three weeks spent in a coma. Michael and his medical team were fighting for his life, and he is very lucky to be alive. But strangely, when Michael awoke from his coma, his English accent had changed. 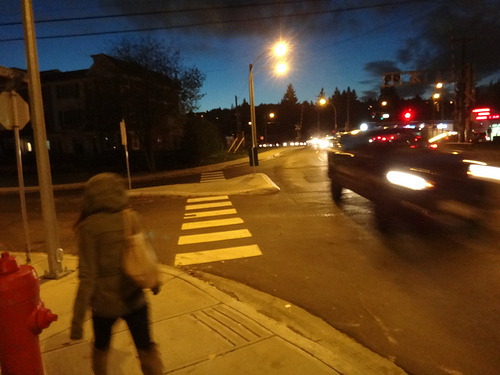 Last Monday, July 16, police in Port Coquitlam, British Columbia were called in to a report of "a man and a woman screaming from their apartment on Wilson Avenue." The police soon determined that the couple were screaming because they had seen two "non-human entities" on their patio. I would scream, too! The RCMP determined that neither drugs nor alcohol were involved. This surprised me because I assumed that it had just been a pair of crackheads freaking out at a plastic bag being blown past the window or something. But although many parts of Canada are impoverished rural communities which are suffering from the meth crisis just as here in America, Port Coquitlam is a nice little town. And if real estate listings and Google Street View are anything to go by, Wilson Avenue is a pretty nice area. Which isn't to say that people in nice neighborhoods don't do drugs, but still! 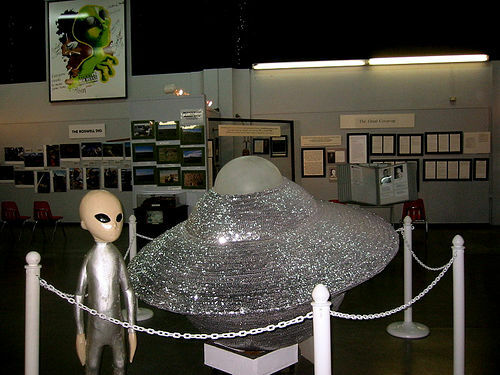 The Roswell incident is one of the most famous occurrences in UFO history. In many ways it marks the beginning of modern UFOlogy culture, particularly in the United States. Roswell is an incident which has literally gone down in the history books, and it remains as famous today - 65 years after the original incident - as it was at the time. This hotly debated incident has also been proven, disproven, and argued about endlessly both within the UFO investigation community and without. And now an ex-CIA agent is throwing his hat into the ring, claiming that he has seen proof that Roswell really was the crash of an alien space craft. 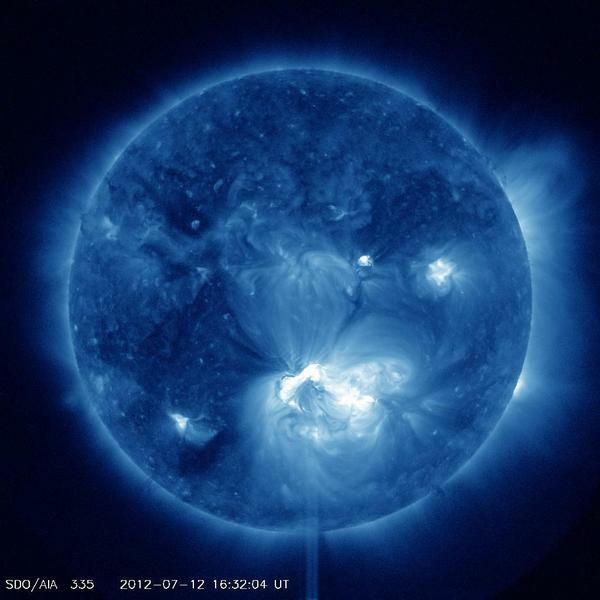 This solar flare is apparently pretty significantly large, even as solar flares go. The "wind" of charged particles from a solar flare travels at between 1 million and 5 million miles an hour, which means it will reach Earth in 3-5 days from the event. Sources are noting that it could cause Aurora Borealis to appear over the northern United States over this weekend. As an Alaskan I can attest to the fact that seeing the Aurora in the middle of summer is a pretty strange thought! In 2004 the Palestinian leader Yassir Arafat, who had been confined by Israel to his walled compound, suddenly became violently ill. He died soon after, of a massive stroke complicated by "inflammation, jaundice, and a blood condition known as disseminated intravascular coagulation, or DIC." Arafat had long been considered a road block to peace in the middle East. And many Israeli citizens blamed Arafat for killing countless Israelis during the long-running conflict between Israel and Palestine. Arafat's death was considered suspicious at the time, but no evidence of poison was found, and so Arafat's body was interred in a tomb. 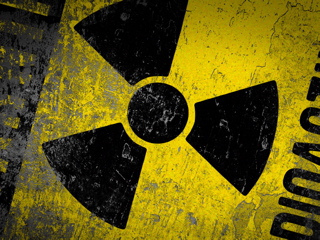 Read more about Was Arafat poisoned with polonium-210? Hundreds of people go missing every year. 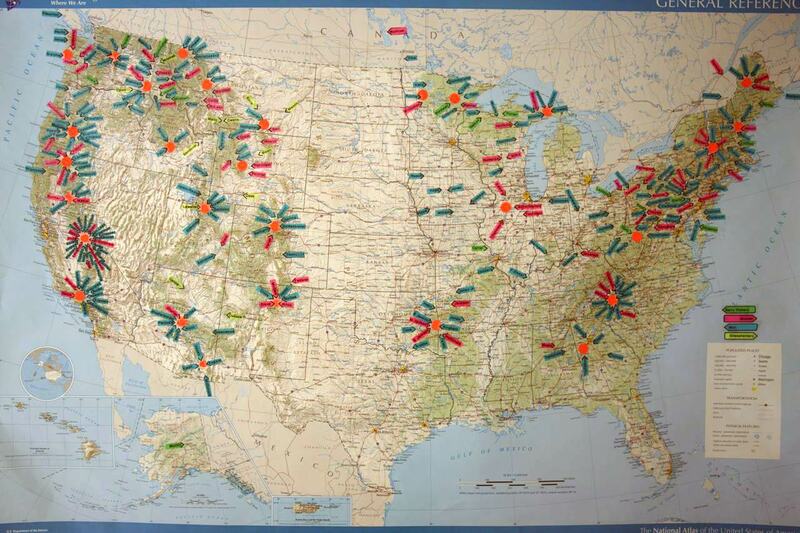 But retired police officer David Paulides claims to have located "clusters" of missing people incidents which follow the same strange formula. Odder still, these clusters are found in North America's mountain forests, including state and national parks. Many of the incidents involve children or the mentally handicapped. Frequently they shed their clothes, which are often found all in a puddle together, as if the person had literally melted right out of them. The people are never found, or are found a remarkable distance from their starting location, with little or no memory of how they got there. Children who have moved across miles of wilderness, climbed mountain ranges or crossed fast-moving streams, for example. And park officials aren't telling.